Respiratory diseases are common and often challenging problems in dogs and cats. Animals with respiratory disease tend to have chronic, recurrent problems that are difficult to manage and do not respond easily to therapy. Alternatively, they may have acute, life threatening problems, with difficulty breathing and a high risk of death. Either type of patient can be very stressful to the veterinarian to manage! This textbook offers state-of-the-art advice about management of dyspneic patients, and patients with chronic recurrent disease. The chapters are all written by recognized experts in each specific subject area. 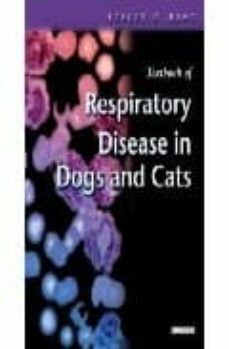 The first parts of the book are organized to facilitate rapid use by presenting a problem-based approach to respiratory tract disease, and describing techniques for diagnostic testing and general support of patients with respiratory tract disease. The last section of the book provides an in-depth description of specific respiratory disorders, including their pathophysiology, diagnostics, expected clinical course and management.